Your main goal is to get customers interested in your products, enough to either click on the “Try it” button in client or to click the web catalog icon to view a little more in detail on your catalog page. If its via the catalog web page and you do get them to click, that opens up a whole new range of marketing possibilities that you can do. Adding catalog images to best show off the item, adding other product icons with relevance that would catch a customers eye, adding your latest products etc. Anything that will gain you more exposure and possibly another click further and another sale. 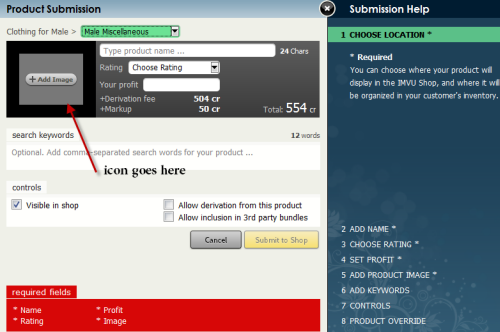 As imvu moves the shopping experience more into the client though, icons become of great importance for sales. There are many different ways you can do an icon. I am not claiming to be IMVU’s best icon designer and in this tutorial I hope to just start you of with some simple basics. 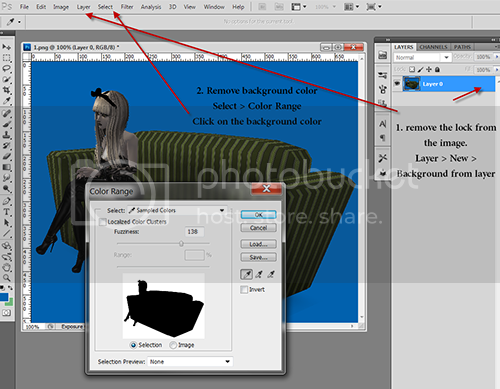 I will be working in Adobe Photoshop CS5, But almost any image editing program can work the same way. So lets get started. First thing we need is an image of our product. For example I have derived from the IMVU Tutorial Sofa , I have added my own textures as per the tutorial and now I am ready to submit my new sofa. But before I hit the Upload button I need an Icon, all products submitted to the IMVU catalog have to have an Icon. You can take your image shot right from the create mode with the white background or you can change rooms to a good screenshot room….there are many available in the catalog.You will now need something to capture your product image. I will just mention a couple that I most use. Typing in the word *hiressnap or *hiresnobg will take an high resolution image for you and place it right onto your desktop. There are many software programs out there that can capture an image right from your desktop. I use a simple little free program called MWSnap, I an using a blue screenshot room for my image here today. Using your computers print screen method is a simple as holding down your alt key and pressing your Prt Scr key on your keyboard, this will copy the image to your computers clipboard. 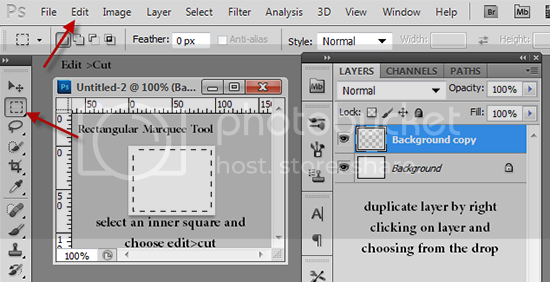 opening your image editing program, (Photoshop, gimp etc) then using your Ctrl v keys to paste the image directly into a new image of your editing software. Now comes the fun part, lets make that product icon. Ill be using Photoshop cs5. The first thing we need to do is to make our icon template, this needs to be 100 x 80px height, there are so many ways you could make an icon but this tutorial will only cover one simple easy way. Create a new image 100×80 and lets make the background color white for now. Take that white layer and duplicate it so we have 2 white layers. Now we will need to select the Rectangle Marquee Tool on the left tools panel and drag out a inner square on our second layer, we are going to cut out the middle of this and leave a border for our icon. Once you have the middle selected, choose edit > cut . We are now going to change the color of our border to whatever you desire, I am using black. 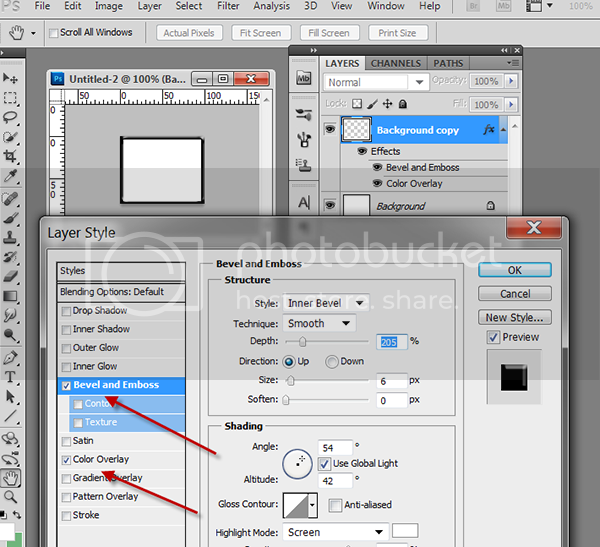 Double click the background copy in your layers panel which will open your layer style box in here we want to click onto the color overlay box on the left to read the options, I simply selected the black color change. Then we want to select the bevel and emboss tab so it gives your border a little glassy feel. Adjust the depth to give it a good affect. Now we are going to adjust the background layer but we have to unlock it first so we can manipulate it. 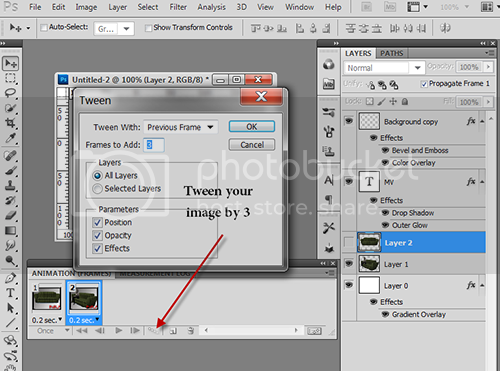 To do this, make sure that your layer is selected and go to Layer > New > Background from layer. Click the ok box and you’ll notice the lock is gone on that layer. And now we can start to play with this layer..yay !! We are going to use gradient affect on the background so our products pop out to the customer, and make them want to buy. First, double click on the background layer to bring up the Layer style box, and select the gradient overlay. 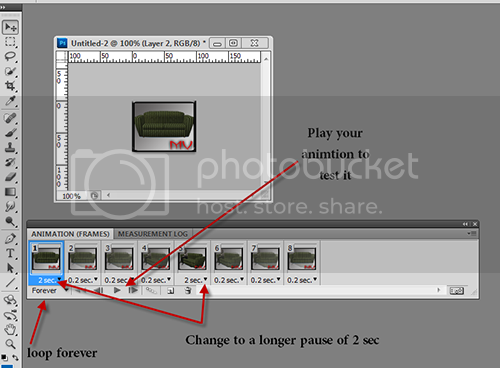 Click into the overlay box to bring up the Gradient Editor. Now play with the gradients to get the desired background affect that you would like. Select the slider colors and change them to whatever you wish. Click the Ok buttons on all boxes when you are done. Now add your own brand name, this is what will represent you. Be creative, I just use my MV. (boring I know..).but you could use whatever you like, check out those already in the catalog and see if you can spot the same creators on the hottest product pages by their icon brands. Try to have it fit in with your general over all theme…something that sits on your banners…catty pages…homepage….bling badges. So it all ties in together. This is what will make you recognizable and stand out as being “You”. Something your customers will get to know and trust. Bring your product image into your editing program that we took earlier. we first want to remove the background. 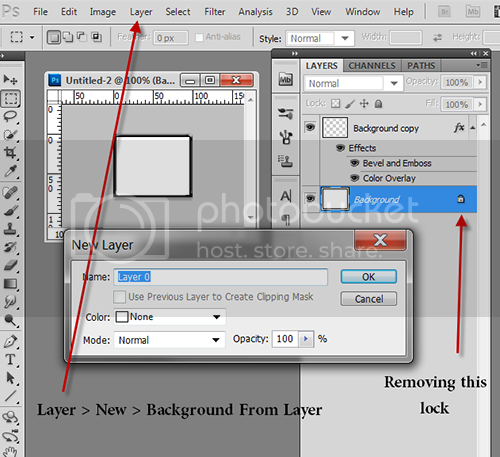 Go to Layer > New > Layer from background to remove the locked layer and make it manageable. 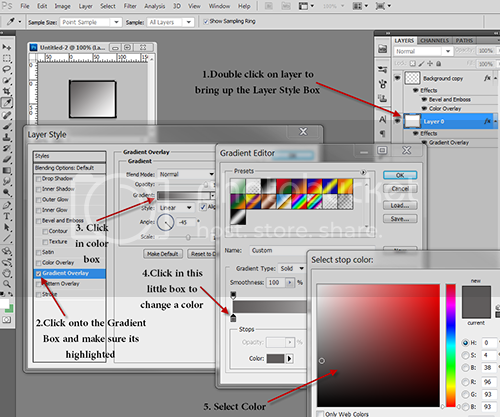 Then we want to select the background by going to Select>Color range the use your mouse to click onto the background color and click ok in the Color Range Box. 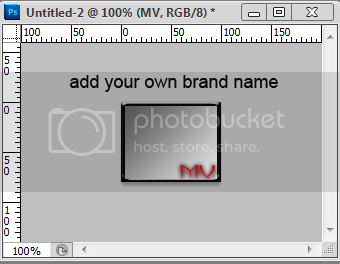 Then go to Edit > Cut to remove the background and leave your product on a transparent Bg. 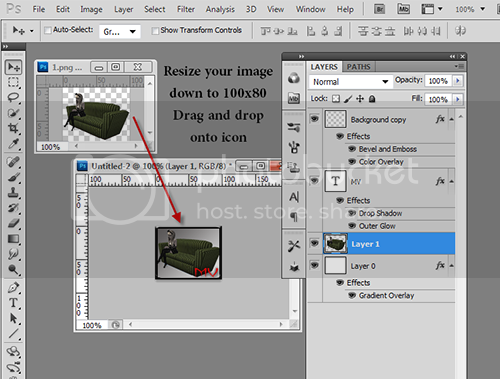 Resize your image down to 100x80px then drag and drop it onto your icon template. Make sure you have it under the border and brand name layers. You can now save this as your icon in either a .png , jpeg, or a Gif image. Read Below how to animate your icon to make it a little more eye catching for your customers. Add as many images you will need for your animation, today we will just use 2 images. 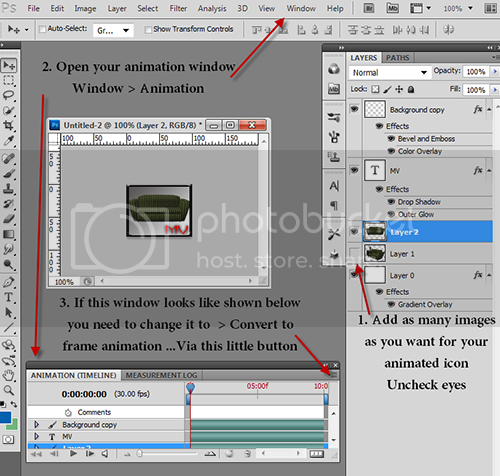 To view your animation window go to Window > Animation, to have your animation window appear at the bottom of your window. If it looks like the one in the right image you need to chose the little button as shown on the image, then convert to frame animation so we can best work with our images. Uncheck all visible images so only one is shown, The one you want to first see. 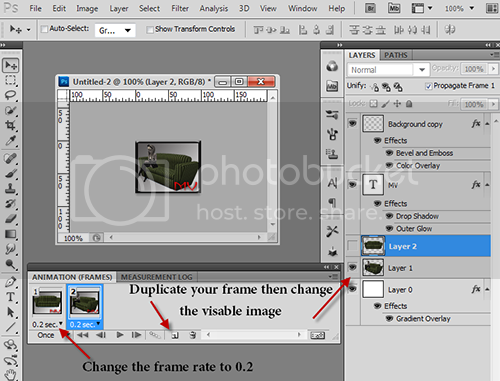 Duplicate your frame then change the image to the next one using the visible eyes on each layer. Do this for all other images you may have, bare in mind that the imvu icon has a limit of 50kb’s. The more images the heavier your image will become. When doing animated icons be sure to never have your icon animate to fast, many of your customers could have sensitive eyes. Flashing icons can cause serious pain for them to look at, thus limiting your customers as those people will avoid your catalog and never want to visit again. Now we are going to make a nice smooth transition between the two images while animating. This is called Tweening. Select the little button on the animation bar as showen on the image to the right. This will bring up the Tween diolog box. 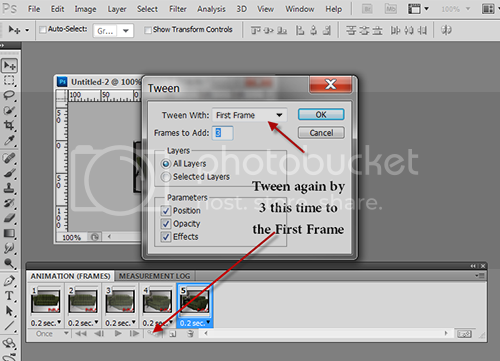 Keep in mind the weight of your icon, so for this tutorial we will use 3 frames tweening with the previous image. Now we have the 2nd image with a smooth transition from the first. Since we want to loop this animation to play over and over we will need to to also tween from the 2nd image to the first. So again Select the little button on the animation bar. Leave it as 3 frames again, but this time change the Tween with box to the first frame. Change the rate of the 1st and 5th images to 2 seconds. so they will Pause on those main shots for a lot longer than the transition. Make sure its set to loop forever, Then press the play to test it out. Make adjustments where needed for the finishing result. To save your animated Gif image go to File > Save for web and devices. In here you can check your icons over all weight size. Click save. This ofcourse was just a very basic Icon to start with, but now you know some of the easy steps to creating icons in photoshop I am sure youll be able to become very creative and start marketing your products in the best way possible. Remember one general rule for marketing. Less is sometimes More. A customer that has to think longer than 2 seconds trying to figure out what it is your selling will tend to just move onto the icon next to it, and you will loose a customer. They want to know what it is your selling, they dont care as much that your brand name is awesome with big flashy looks. They care that they can see the best bits of your product. Enough to entice them to view more, or try out.